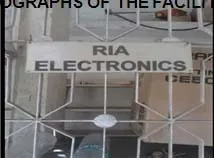 Established in the year 2008, we Ria Electronics are one of the prominent Wholesaler and Trader of Graphtec cutting plotters and large format scanners. Further, we also deal with Redsail cutting plotters, LTT laser engraving machines & Fujikura splicing machines. With a diligent team of professionals, we are also engaged in offering our clients with cutting blades and holders of all cutting plotters, and we also facilitate our reputed customers with sales and service for all cutting plotters. Owing to the backing of our vendors we have been to supply a range that is at par with industry standards. Our strong vendor base has helped us in serving our clients with a flawless range. 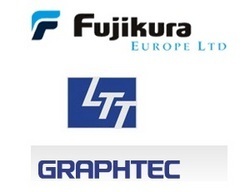 We are working with the brands like Graphtec, Redsail, LTT, and Fujikura. Under the able guidance of our director Mr. Gaurav Goel, we have witnessed a tremendous success in a very short span of time. With the help of our vendors, never-ending efforts of our professionals and strong business acumen of our mentor, we have been capable of garnering a niche for ourselves in the market. We are an established supplier of cutting plotters, scanners and plotter blades. Also, we offer our clients with engraving and splicing machines. We procure these machines from reliable vendors whose products are considered equal to perfection throughout the industry. Our well-versed team of professionals forms the pillar of our success. Owing to their valuable efforts and determination, we are capable of supplying products that are at par with the industry standards. Sharp insight and unique skills of our team members are helpful in understanding the specific requirements of our clients. Further, their close coordination with our vendors enables us in providing our clients with quality products in a stipulated time frame, which is helpful in generating more profits. Due to the never-ending efforts of our team, we have been capable of serving our products under reputed brand names. Being one of the renowned names in the industry, we are engaged in supplying and distributing of Graphtec cutting plotters, and large Format Scanner. Our range of products is always procured from the reliable vendors. With our ethical business practices and we have been able to work as authorized dealers for many reputed brands.